The men’s team pursuit celebrate victory. Photo – Guy Swarbrick. 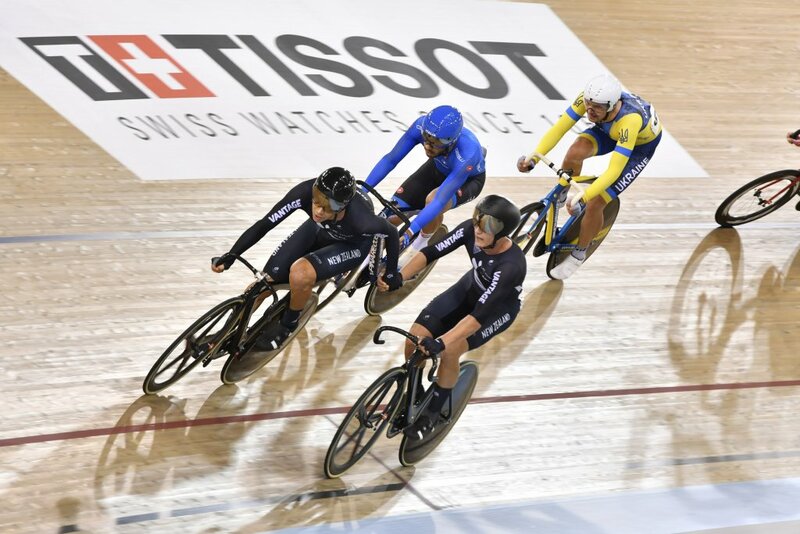 The UCI Track Cycling World Cup at the Avantidrome over January 18 – 20 reaped rewards both on and off the track, for cyclists and citizens alike. 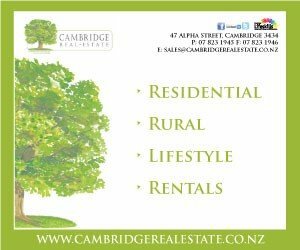 Whilst the New Zealand team scored five gold medals during the three-day event, the business community “struck gold” too, benefitting from the seven thousand people that came to town, including spectators and riders from 39 countries. The New Zealand team started off strongly on day one of the event winning three gold medals. It started with Rushlee Buchanan, Racquel Sheath, Kirstie James and Bryony Botha prevailing in the women’s team pursuit final over Canada, establishing a new national record in the process. The women’s team pursuit in action. Photo – Guy Swarbrick. Regan Gough, Campbell Stewart, Jordan Kerby and Tom Sexton then pulled off the second fastest time in history on the way to winning the men’s team pursuit over Canada in 3:50.159 – a new second-best time by more than two seconds. 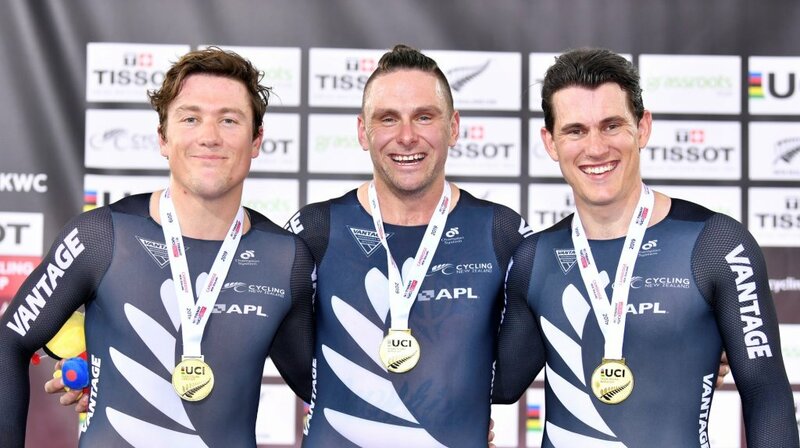 Sprinters Ethan Mitchell, Sam Webster and Eddie Dawkins rounded off the first night winning gold in the men’s team sprint, the trio’s first World Cup win since 2017. “I’m not gonna lie, it’s good to be back in the winner’s circle and good to put our best foot forward,” Webster said. The men’s Madison pairing of Campbell Stewart and Aaron Gate in action. Photo – Guy Swarbrick. The Madison paring of Campbell Stewart and Aaron Gate also won gold on day two. 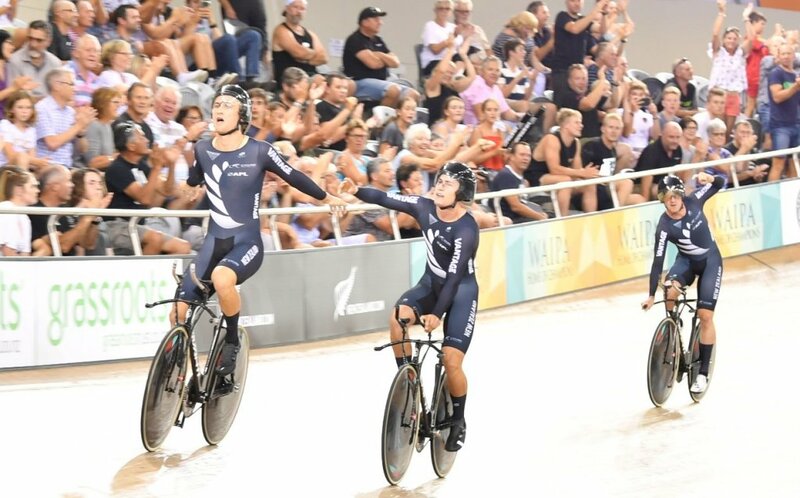 Day three saw the final two medals earned by New Zealand – bronze to Racquel Sheath and Rushlee Buchanan in the women’s Madison, and bronze to Ethan Mitchell in the men’s sprint. 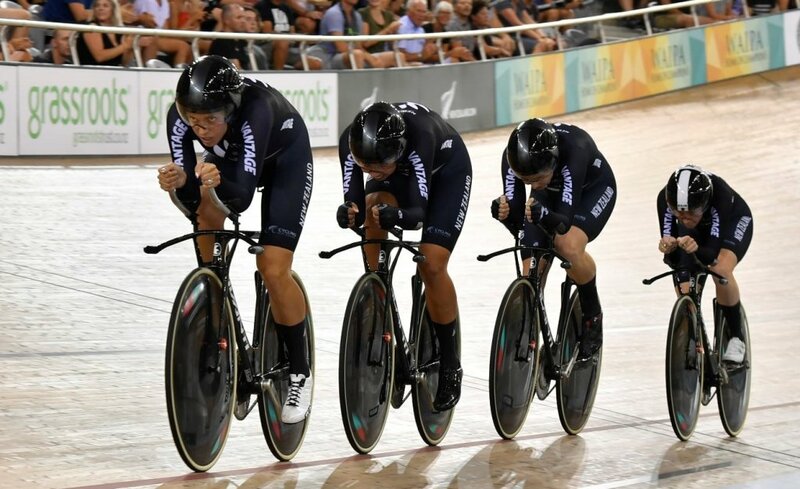 The Kiwis finished up the competition winning the Best Overall Nation Award, which offers important qualifying points for next month’s World Championships and ultimately to the Tokyo Olympics. The men’s sprint team of Ethan Mitchell, Eddie Dawkins and Sam Webster on the podium. Photo – Guy Swarbrick.